To the regret of independent scientists, the report made no mention of an issue beyond genetics: whether the spores displayed signs of advanced manufacturing. They have pointed to distinctive chemicals found in the dried anthrax spores that they say contradict F.B.I. claims that the germs were unsophisticated. Evidence of special coatings, they say, suggests that Dr. Ivins had help in obtaining his germ weapons or was innocent. The GAO study was undertaken, in part, because of questions raised by the National Academies study released in 2011 and with special prompting by Representative Rush Holt, from whose district the letters likely were mailed. The GAO study focused on obtaining a better understanding of the validity of the genetic analysis that was carried out and the statistics underlying the conclusions reached. DNA sequence analysis was employed to identify the changes that led to these variant colony shapes. The FBI then commissioned private laboratories to develop DNA-based tests (relying on polymerase chain reaction, or PCR, methodology) that could be used to screen the large bank of isolates of the Ames strain that the FBI had accumulated through a subpoena submitted to all 20 laboratories known to have isolates of the Ames strain. Developing these assays represented a new frontier in forensic genetics and it did not prove possible to develop tests for all of the mutations identified in the original DNA sequencing. In the end, four tests were developed by the four different contractors. The Amerithrax report stated that of the 947 samples included in the final analysis, only eight showed all four of the DNA changes the tests were designed to detect. Seven of those samples came from the laboratory where Ivins worked (U.S. Army Medical Research Institute of Infectious Diseases, or USAMRIID) and one came from Batelle Memorial Institute in Columbus, Ohio. The FBI noted that there was a record of material being transferred from USAMRIID to Battelle, accounting for the sample found there. Yesterday, charges against Paul Kevin Curtis that he sent letters testing positive for ricin to Senator Lowell Wicker and the White House were dropped. It is quite encouraging that the FBI would this time choose not to continue harassing Curtis once they realized they had no evidence against him, unlike their behavior in the Amerithrax case where they pursued Steven Hatfill for years (until paying out a $2.8 million dollar settlement) and drove Bruce Ivins to his grave on the basis of evidence that couldn’t withstand scrutiny. But a darker world apparently also existed for Curtis, according to frequent writings on social media Web sites, legal records and a lengthy trail of letters sent previously to lawmakers from Mississippi to Capitol Hill. The man the FBI says unnerved much of official Washington this week, leaving mail handlers, staffers and aides seeing danger in any crinkled or unmarked envelope, was also a well-practiced conspiracy theorist. He wrote online that Elvis-impersonating contests had become rigged and politicized. According to the long, detailed post, Curtis accidentally discovered bags of body parts in the morgue and reported his finding to authorities, who immediately made him a “person of interest where my every move was watched and video taped.” He described cameras zooming in on him and said he was followed by agents. Curtis is known for detailed Internet diatribes, his long-held conspiracy theory about underground trafficking in human body parts — which he has turned into a novel-in-progress called “Missing Pieces” — and his work as an Elvis impersonator. The Corinth, Miss., man has been arrested four times since 2000 on charges that include cyber-harassment. Curtis’ account of discovering evidence of illegal body part trafficking stood out to me because I knew that such illegal trafficking in fact exists. A local firm here in Gainesville has been in the middle of an ugly story unfolding around the difficult legal and ethical issues relating to how tremendous advances in medical science have driven a huge demand for human tissue and bone. Most people are quite aware of the process of organ transplantation and how organ donation either through advance planning or by surviving family members signing off on donation saves many lives. But there also are many medical procedures that rely on human bone or tissue that has been processed. With the war drums on Iran beating loudly, homeland security theater is ratcheting up yet another level as a wave of letters containing a powdery substance have been mailed again to media and political figures. This time, unlike the October-November 2001 episode, all letters tested so far have been negative for anthrax or other harmful substances, but the mailer has threatened that ten percent of the large number of letters mailed will be deadly. Most notable in this current series is that a letter was received at the Burlington, Vermont office of Senator Patrick Leahy. Recall that Senator Leahy was one of those targeted with the most deadly version of the anthrax mailed in 2001. Several members of the Congress received mail threatening a biological attack and containing a suspicious powder later found to be harmless as law enforcement officials warned on Wednesday that more letters could be on their way. A number of media organizations and TV shows, including the New York Times and The Daily Show with Jon Stewart, received mail postmarked Oregon warning that letters had been sent to the Washington or local offices of all 100 U.S. senators and that 10 contained a deadly pathogen, a law enforcement source said. House of Representatives Speaker John Boehner, the top Republican in Congress, received a letter containing a powdery substance at one of his offices in his home state of Ohio, a Republican aide said, adding that the powder was harmless. The letters make vague complaints about too much money in politics and had a Portland, Oregon return address from an organization listed as “The MIB, LLC,” a law enforcement official told CBS News. In addition to the letters to the lawmakers, officials said television comedians Jon Stewart and Stephen Colbert received letters mentioning the letters to senators. The author told the comedians he would send letters to all 100 senators and ten percent of them would contain “lethal pathogens,” an official told CBS News. The author wanted an end to corporate money and lobbying, an end to “corporate personhood,” and called for a new constitutional convention to rewrite the constitution. The author also told the comedians he would tell the senators they are “working for the wrong side” and there is a ten percent chance they have been exposed to a lethal pathogen. The author also said he “randomized” which letters would contain the pathogen and even he did not know who would get which letter. 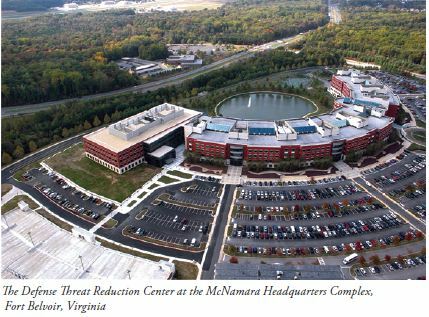 The top-notch Frontline/ProPublica/McClatchy group that has been continuing to investigate the anthrax attacks of 2001 and the subsequent Amerithrax investigation by the FBI posted some photos on Monday that they obtained through FOIA requests. They are here. Mouse over the first photo and then you can click through the slideshow. The most important photo is the one of the lyophilizer. The FBI is claiming Bruce Ivins used this to dry the spores used in the attacks. That is not two pieces of equipment in the photo; here’s a clearer shot of what looks like the same model available on the used market. The thing is huge! The problem is that it is NOT in Ivins’ “hot suite”, so using it in its place would have put spores all over the place in area where at least some of the personnel probably weren’t vaccinated (and thus would have died). This would have been an obvious contamination event Ivins could not have hidden. Technically, the lyophilizer is “mobile”, but as you can see, it’s the size of a refrigerator and it would have been obviously missing if Ivins wheeled it into the hot suite. Also, it uses 220V (see the wiring that obviously was put in so the lyophilizer could be used in this spot), so Ivins might not have had an outlet available in the hot lab. Also notice the piece of paper on the top part; that’s most likely a sign-up sheet to reserve it since this thing is used for drying down large amounts of liquid and these runs take a number of hours. You can bet if Ivins had signed into the log during the critical period we would know about it. There is only one sheet there, though, so the sheet from the appropriate time period might not have survived until the time USAMRIID was being looked at carefully. 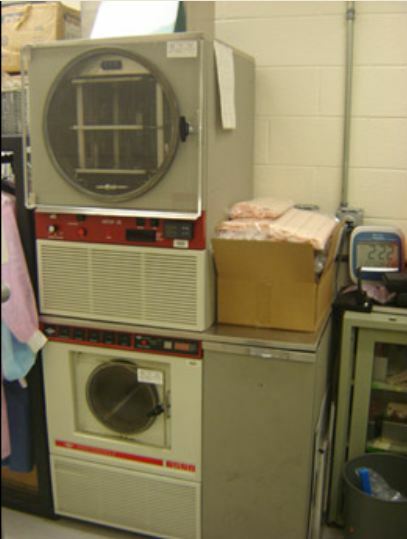 The lyophilizer, or freeze dryer, which the FBI says Ivins could have used to make the attack anthrax. Stored outside of the secure BSL-3 hot suite, the lyophilizer was a central focus of the investigation; however, the FBI was never able to definitively link it to the attack anthrax, and some of Ivins’ colleagues are skeptical that he would have risked drying anthrax outside of the secure suite. The FBI’s claim that this lyophilizer was used by Ivins came about in a very emabarrassing way for the Department of Justice. DOJ had submitted a document in the wrongful death suit filed by the widow of Robert Stevens, who was the first fatality in the attacks. The initial filing stated flatly that Bruce Ivins did not have access to the equipment needed to dry the anthrax spores used in the attacks. After the FBI went ballistic over that filing, a judge allowed DOJ to submit an amended document (see page 3) where DOJ referred to the “refrigerator sized” lyophilizer in the BSL-2 containment area, where DOJ also noted that no work with live anthrax was carried out. On Saturday, the Journal of Bioterrorism & Biodefense published an article (pdf) by Hugh-Jones, Rosenberg and Jacobsen that provides the details of their theory, first described in a McClatchy article, that the anthrax spores employed in the 2001 anthrax attacks were “weaponized” by a process that involved tin-catalyzed polymerization of silicon monomers. Wasting no time, David Willman was quickly trotted out in the Los Angeles Times on Sunday to tut-tut this latest information as arising from “critics” of the FBI and to provide an outlet for those who unquestioningly parrot the FBI’s conclusion from its Amerithrax investigation that Bruce Ivins acted alone in carrying out the attacks. The presence of silicon and how it may have gotten into the anthrax material has been a point of great controversy throughout the entire investigation. This question is important because the chemical nature of the silicon and the level at which it is present is presumed to be an indicator of whether the anthrax spores have been “weaponized” to make them suspend more readily in air so that they are more effective in getting into the small passageways of the lungs of the intended targets of the attack. Early in the investigation, Brian Ross published “leaked” information that the spores had been weaponized through addition of bentonite and that Iraq had a weaponization program that used bentonite. This report turned out to be false, as no evidence for bentonite has been found. A more sophisticated type of weaponizing would rely on mixing the spores with nanoparticles of silica (silica is the common name for the compound silicon dioxide) to make them disperse more easily. 1) Their statement of facts supporting their claim asserting that no anthrax disappeared from USAMRIID and therefore Ivins must be the anthrax killer (but an unforeseen one) should have admitted that Ivins did have a lypholizer in his lab, but not in a way he could use. 2) Their statement that a scientist who had been vaccinated against anthrax could walk out of USAMRIID with anthrax injected into his body–as opposed to bloodstream–could get anthrax out of the lab. 3) Their statements quoting army regulations should match those army regulations. 4) The book on lab security was not written until 2007. In other words, much of the filing is a bid to resubmit their homework. They look like idiots. But whatever. Except for the central claim to the filing. Most of their filing tries to reel in their admission that USAMRIID sent anthrax to both Battelle and BioPort labs–the latter is an anthrax vaccine manufacturer that was at risk of losing its contract in 2001. Points 2-7 all try to replace “BioPort and Battelle” with just Battelle. Now, I’m not sure what their rationale for retracting the admission that they sent anthrax from Bruce Ivins’ anthrax flask to BioPort is. 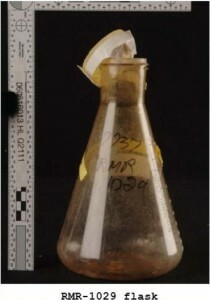 Ivins’ description of what he did with the flask in question appears to clearly show he sent 100 ml to BioPort on December 4, 2000 (indeed, one of Ivins’ colleagues testified that some anthrax was sent to BioPort). And BioPort would have precisely the same motive for sending out anthrax as the FBI attributed to Ivins: an financial interest in ensuring the government kept producing the anthrax vaccine. Update: This report (h/t Jim White) seems to confirm the Rabbit Challenge took place at USAMRIID. In other words, it appears that USAMRIID actually did send anthrax to BioPort, a lab with a clear motive for creating fear about anthrax. And this filing appears to want to claim that USAMRIID didn’t send that anthrax–even though Bruce Ivins’ records, which the government has relied on to say Ivins had control over the anthrax, says they did. And this head fake helps the government’s claim that Bruce Ivins was the anthrax killer … how? As a number of you have noted, ProPublica is out with a story on yet more evidence why Bruce Ivins was probably not the anthrax killer. Here’s the deposition they cite in their story; his former colleague Patricia Worsham described how USAMRIID didn’t have the facilities to dry the anthrax used in the attack, and certainly not the quantities that were used in the attack. I think I summarized it before to a certain extent, in that I don’t believe that we had facilities at USAMRIID to make that kind of preparation. It would have taken a great deal of time; it would have taken a huge number of cultures; it would have taken a lot of resources that would have been obvious to other people within containment when they wanted to use those resources. We did not have anything in containment suitable for drying down anything, much less a quantity of spores. The lyophilizer that was part of our division was in noncontainment. If someone had used that to dry down that preparation, I would have expected that area to be very, very contaminated, and we had nonimmunized personnel in that the area, and I might have expected some of them to become ill.
Just as interesting is the argument the lawyers for Maureen Stevens–Bob Stevens’ wife–made when withdrawing their earlier stipulation that Bruce Ivins was the killer. They cite two former supervisors of Ivins, William Russell Byrne and Gerard Andrews, explaining why they thought Ivins couldn’t have made the anthrax used in the attacks. Byrne argued that, had Ivins used the lypholizer to dry the anthrax, it would have left evidence. He reiterated that if the laboratory’s equipment (lypholizer) had been used to lypholize that powder, you would have been able to find evidence of it pretty easily (76/23). The powder would have gotten everywhere insider the lypholizer. And Andrews explained that the volume the equipment in Ivins’ lab was insufficient to make the amount of spores used in the attack. Dr. Andrews stated: “No, I don’t believe he had the equipment, in my opinion.” He said that the equipment in BSL3 had limitations in that the lypholizer was a low-volume lypholizer that could handle maybe up to 50 mils at a time in separate small tubes. He opined “where would he do it without creating any sort of contamination is beyond me, but it has been speculated that the lypholizer may have been moved into a Class 2 Biological Safety Cabinet to prevent spores from flying everywhere. I would think the physical size of the lypholizer would be difficult to get the entire, or the speed vac to get the entire apparatus under the hood. It might be possible to get the apparatus under the hood; however, there would be contamination of it inside the hood if that was the case. 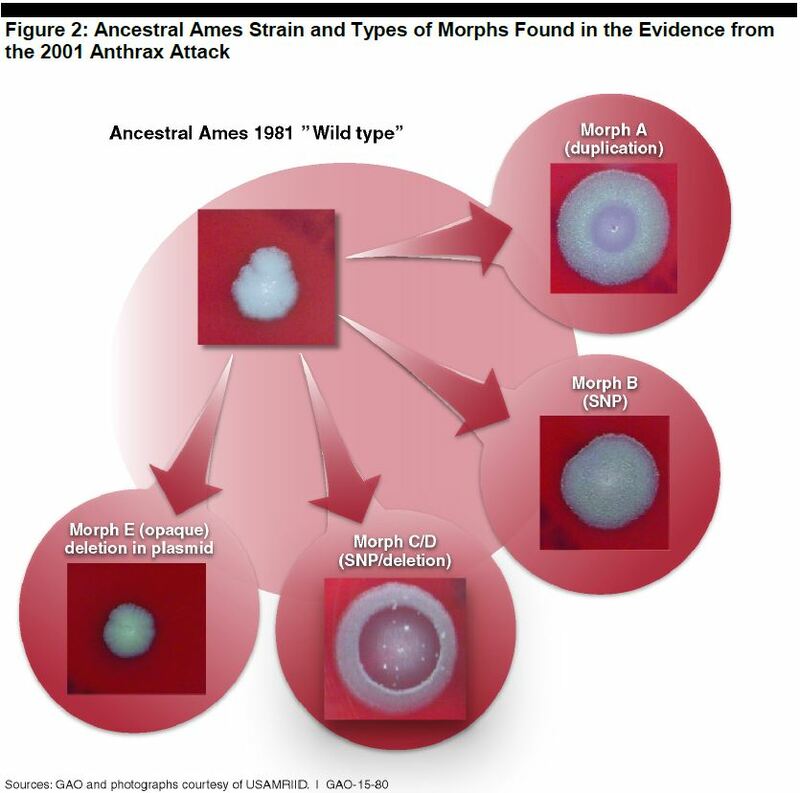 Byrne and Andrews also address Ivins’ training–that is, lack of training on weaponizing anthrax. Right now, to try to salvage this suit, the government is arguing that the plaintiffs have no evidence of anyone else making the anthrax, but that since Ivins’ supervisors didn’t think he had the capability to make the anthrax, the government can’t be held liable for the anthrax that killed Bob Stevens. But along the way, evidence like this–as well as further evidence that Ivins didn’t have sole control of the anthrax–is making it more and more clear that the government hasn’t solved this case.